I don’t get the term “white privilege.” I know lots of white people who don’t have two pennies to rub together. That’s because racial privilege and socioeconomic privilege are not the same thing. One can experience gender, religious, racial, disability, sexual orientation, class or other forms of discrimination. While each of these forms of discrimination negatively affect one group, they privilege another group. Privilege implies a lack of discrimination. The word privilege threw me off at first because I’d long associated privilege with socioeconomic status. And though racial privilege, which I now think of as racial advantage, can contribute to class privilege, they are distinct. A person of color who achieves upper-middle class socioeconomic status is still a person of color and therefore subject to the same bias and discrimination produced by racism. Being followed in stores, profiled by police, asked for identification, as well as receiving differential treatment in lending, educational, employment, and healthcare settings does not disappear with class status. I can simultaneously experience ability privilege and sexual orientation discrimination. A white person who is impoverished or working class can simultaneously experience racial privilege and class discrimination. A middle class Black or brown person can simultaneously experience class privilege and racial discrimination. Each form of discrimination is characterized its own barriers, dynamics, and hardships. Each form of privilege you enjoy requires understanding what you do not experience firsthand. Want more resources? See Below. 1) How are poor white people a crucial part of America’s racial caste system? Watch 11 minute Race Baiting 101 video. 2) What policies and laws have held in place this racial caste system? 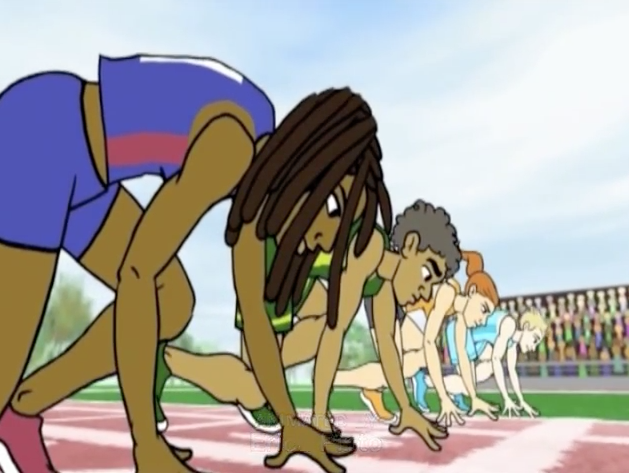 Watch 4 minute The Unequal Opportuntiy Race video. Below is a brief description of the policies and laws referenced in the video short. Broken Treaties (ongoing) Refers to the pattern of U.S. Government treaties being signed and later broken, especially with regard to Native Americans. Chinese Exclusion Act (1882) “Whereas in the opinion of the Government of the United States the coming of Chinese laborers to this country endangers the good order of certain localities..” The act suspended Chinese immigration, initially for ten years, and through a subsequent act, until 1902 and set precedent for subsequent immigration limitations on ‘undesirable’ groups. Discrimination (ongoing) The practice of unfairly treating a person or group of people differently from other people or groups of people. Dred Scott Decision (1857) Dred Scott, born into slavery in 1799, eventually was moved by his master’s family to the free state of Illinois and later Wisconsin. After living in a free state for over a decade, Scott sought legal freedom. The case went all the way to the Supreme Court, where the decision read that because Scott was black he was not a citizen and therefore had no right to sue. The ruling both unraveled progress that had been made in securing African American rights in prior decades and increased the North/South political divide. Genocide (1400s – 1800s) Refers to white European settlers’ efforts to ethnically cleanse Native American lands through massacre, spreading of disease, disregard, relocation, separating children from families, and deculturalization. Approximately 90% of Native Americans perished in these years. 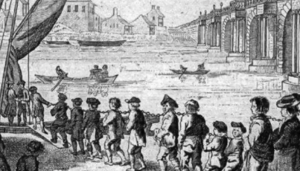 Some argue that the genocide lasted long after the 1800s through the Indian Boarding School Movement and ongoing discriminatory policies and practices. Housing Segregation (ongoing) Denying minority groups equal access to property and lending. Includes discriminatory practices such as redlining, blockbusting, intentional misinformation, as well as steering black and brown customers to black and brown communities and away from white European communities. Japanese Internment (1942 – 1946) Two months following the Japanese attack on Pearl Harbor, President Franklin D. Roosevelt, responding to fear that Japanese Americans may be Japanese sympathizers, ordered all west coast Japanese Americans to one of ten concentrations camps located in U.S. interior regions. Approximately 120,000 Japanese, mostly American citizens were forced to abandon their homes and property. Neither Italians nor Germans – both legally classified as ‘white,’ were similarly interred despite the fact that they also originated from Axis-power countries. Manifest Destiny (1800s) Belief by white European colonial settlers that they were destined by God to expand their virtuous ideology throughout the continent and ultimately throughout the world. Justified westward expansion, Indian Boarding Schools, and the Mexican-American War. Poor Schooling (ongoing) American public education is funded by property tax. Property tax is based on property value. Property value, as determined by the Federal Housing Authority, has historically been based on building condition and racial and ethnic make up of inhabitants. America’s highest valued neighborhoods are predominantly white, producing higher tax income and therefore superior schooling. Black and brown neighborhoods experience the reverse. Additionally, following Brown v Board, Black educators and administrators were fired, largely eliminating Black student’s opportunity to be taught by teachers who understood, loved, and challenged them to reach their full potential. Racial Profiling (ongoing) As defined by the ACLU: when law enforcement and private security target people of color for humiliating and often frightening detentions, interrogations, and searches without evidence of criminal activity and based on perceived race, ethnicity, national origin or religion. School-To-Prison Pipeline (ongoing) A phrase used to describe a pattern of ‘zero tolerance’ in-school discipline policies that push students out of the classroom and into the criminal justice system. Part of a larger racialized mass incarceration crisis. Segregation (ongoing) the separation of different racial groups in housing, schooling, and other institutions. Shortened Lifespan (ongoing) Life expectancy differs significantly based race and education. Because race factors into level of education, the two often overlap. For instance, according to a 2012 Health Affairs study as reported by Business Insider, white men with 16 or more years of schooling can expect to live an average of 14 years longer than black men with fewer than 12 years of education. Slavery (1619 – 1865) A system in which people are considered property, provide free labor, and work without rights. American slavery was legalized in 1641, allowing slave owners to own enslaved people for life, and to use them as a self-reproducing free labor force, veering drastically from the indentured servant model common in Europe. In 1865, the 13th Amendment ended legal slavery in the U.S..
Standardized Tests (1965 to present) The 1965 Elementary and Secondary Education Act introduced standardized testing as a national requirement. The 2001 No Child Left Behind Act (NCLB) reauthorized the 1965 Act and linked student test performance to school funding. Critics argue that imposing standardized tests on unstandardized students who attend (by virtue of unequal housing) unstandardized schools is inherently unfair. Also criticized is standardized testings’ strategy of measuring narrow skill sets based on white-dominant cultural norms. Trail of Tears (1830s) In response to demand from white settlers wanting to grow cotton on Indian lands, President Jackson created and passed the 1830 Indian Removal Act. The act resulted in the eviction and relocation of nearly 125,000 Native Americans from their ancestral land in the Southeast to present-day Oklahoma. In addition to the devastation of losing homeland and way of life, walking thousands of miles proved deadly. The term Trail of Tears was created by the Cherokee Nation, who lost one out of four along the trail. Underemployment (ongoing) Pew Research reported in 2013 that the black unemployment rate is consistently twice that of whites. Racial bias persists regardless of credentials and number of degrees. In studies such as a University of Chicago Graduate School of Business, “Are Emily and Brendan More Employable than Lakisha and Jamal?” results consistently show a strong preference for white applicants. Wealth Disparities (ongoing) In a 2013 ISAP report, that followed “the same households over 25 years, the total wealth gap between white and African-American families nearly triples, increasing from $85,000 in 1984 to $236,500 in 2009. The biggest drivers of the growing racial wealth gap are: years of homeownership, household income, and unemployment, which is much more prominent among African-American families, college education, inheritance, financial supports by families or friends, and preexisting family wealth. Equal achievements, such as income gains, yield unequal wealth rewards for whites and African-Americans.